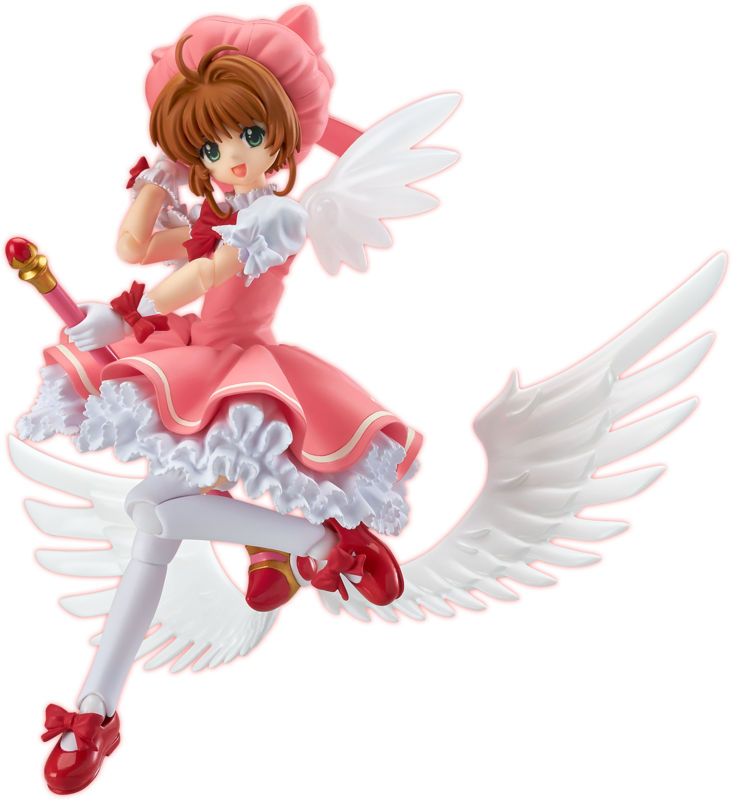 From one of the most renown magical girl series of all time 'Cardcaptor Sakura' comes a figure of Sakura Kinomoto, here to join Max Factory's figma series of articulated figures! She has been sculpted in the outfit from the first volume of the manga, with all the finer details such as the puffy sleeves, ribbons, frills and even her shoes faithfully kept to the original illustration! 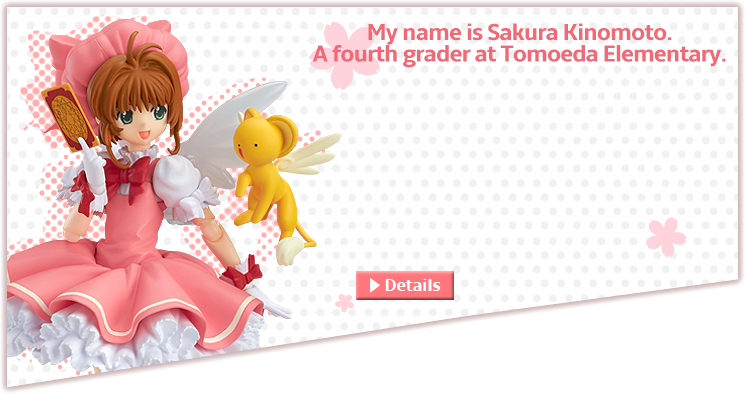 It's an outfit that really brings out the adorable side of Sakura for fans to enjoy! The skirt even features a special option which allows you to pose her flying through the air on her Sealing Wand, as if she had used the Fly card! Not to mention that her cute companion Cerberus is also included to display by her side! 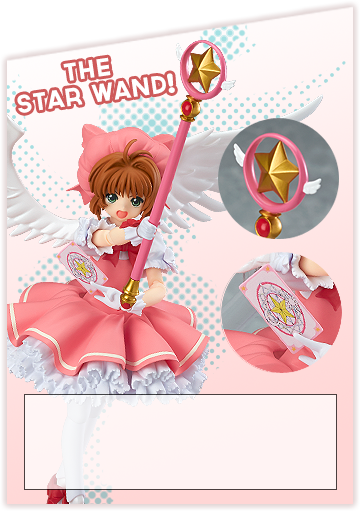 Her Wand that was reborn by the power of the moon, the 'Star Wand' is also included, along with a Sakura Card! Wing parts are even included to attach to her back allowing for the Star Wand's version of Fly as well! 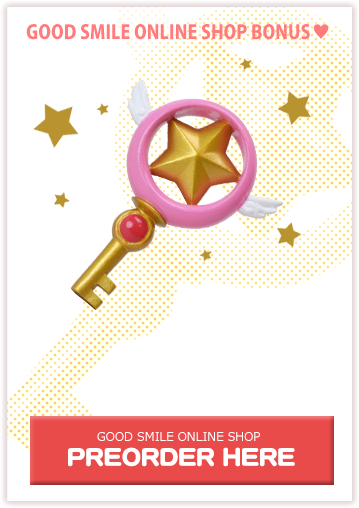 Alternate parts are included with the sealing wand allowing you to switch out the tip for one with a card on the end, allowing you to pose the exact moment that Sakura releases a card! A confident expression is included which suits the scene perfectly! 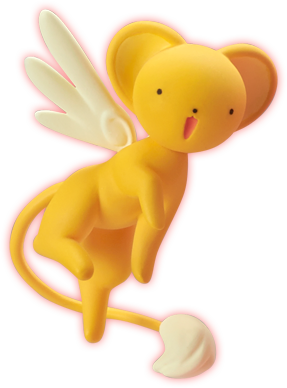 Preorders from the GOOD SMILE ONLINE SHOP will include a Sealing Wand (Key Form) Charm as a bonus! Orders Close on the 3rd December at 21:00JST.